The rent at Courts of Valle Vista Apartments ranges from $669 for a one bedroom to a $904 two bedroom. Apartments in this building are about 2% less expensive than the Greenwood average. Courts of Valle Vista Apartments has a Walk Score of 44 out of 100. This location is a Car-Dependent neighborhood so most errands require a car. Welcome home to Courts of Valle Vista Apartments, where your dreams of exceptional community living come true. Located in Greenwood, we are two minutes off I-65 via the Main Street exit and less than five minutes from I-465. We are located on Valle Vista Golf Course, along a scenic walking trail and have threee beautiful ponds. Plus we are located within the Greenwood School District. Courts of Valle Vista offers eight amazing one and two bedroom apartment homes, each recently updated with maple cabinets, granite-like counters, wood-grain flooring and a brand new, built-in microwave. Many floor plans also include washer/dryer connections and most have a private balcony or patio. Choose your favorite apartment with a pond or scenic golf course view. Carports are available near most apartment homes. Our community has something for everyone. You'll love relaxing by our stocked fishing ponds, and our gorgeous park-like setting is ideal for taking long, quiet strolls. A brand new, high tech fitness center! Call today to schedule your personal tour; our model apartment is open daily. Explore how far you can travel by car, bus, bike and foot from Courts of Valle Vista Apartments. 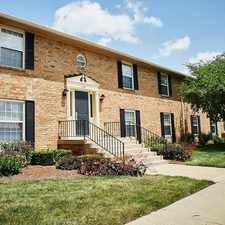 Courts of Valle Vista Apartments is in the city of Greenwood, IN. Greenwood has an average Walk Score of 21 and has 49,791 residents.